Spectracarb™ 2225 Activated Carbon Fabric (ACF) is a high surface-area, drapeable cloth that is used in various electrochemical devices including ultracapacitors, electrical double layer capacitors, and battery electrodes. Spectracarb 2225 ACF also serves as the high surface area electrode in many electrochemical purification and electrosorption processes, as well as unique applications such as a carrier for thin film oxides in various devices. In addition to the commercial applications of Spectracarb ACF, its use continuous to be cited in numerous research programs and articles related to energy storage, purification and electrochemical processes. Ultracapacitor performance and energy storage is a direct function of surface area available, and Spectracarb 2225 ACF meets that objective through the open pore structure of the carbon fibers. Because of the high tensile strength of both fibers and fabric, Spectracarb 2225 ACF is also being used in the development of structural electrochemical devices. Spectracarb 2225 ACF is available in continuous rolls 105 cm (42 in) wide, or in sizes as small as 300 x 300 mm for research and development projects. Custom sizes and other customer defined sizes and shapes, mmay also be available. Please ask us for details. Spectracarb 2225-900: Standard grade 2225-900 is our base series activated carbon fabric used in electrochemcial devices including ultracapcitors, electrical double-layer capacitors and battery electrodes. The key property is the product's specific surface area (BET) which is measured to be 2,500 m²/g. Customer Specific Grades: It is also possible to make Hybrid constructions in the Multi-layer constructions. Contact us to discuss any special requirements, or for the design and production of grades for your specific requirement. Sorry, there are no related videos for Spectracarb 2225 Activated Carbon Fabric at this time. CAPLINQ is different. Unlike other business to business enterprises, we encourage our customers to discuss, critique, and otherwise comment on the products we offer. 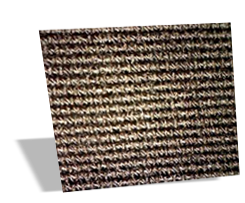 Get more technical information, read detailed posts, and see what customers have to say about about Spectracarb 2225 Activated Carbon Fabric on our Corporate Blog and Forum. Read more about Spectracarb 2225 Activated Carbon Fabric on our Blog. Join the discussion about Spectracarb 2225 Activated Carbon Fabric on our Forum.